The Army Intelligence Officer Premananda Udalagama was further remanded till October 13 by the Mount Lavinia Magistrate in connection to the assassination of Sunday leader Founder Editor Lasantha Wickrematunge. Udalagama who was arrested in July by the CID in connection to the Wickrematunge’s assassination was also identified as the culprit who attacked former Editor of the Rivira Newspaper Upali Tennakoon during the same month Wickrematunge was murdered. Udalagama has also been identified as the person who abducted Dias, Wickrematunge’s driver after the editor’s death. It is reported that Udalagama had kidnapped Dias because Dias in his intoxicated state had gone around making allegations that former Defence Secretary Gotabaya Rajapaksa was behind the assassination. Wickrematunge’s remains were exhumed this week following a court order after the CID informed that there were inconsistencies in the autopsy report issued by the then JMO. The fresh autopsy is expected to take about a month to complete. Wickrematunge was assassinated while on his way to work in January 2009. Must have been a big Yahapalana turd.. Anyway hope this second forensics will clear it for good, and put Ataka Nnataka to rest in peace. BTW, Is Ataka also single like his boss Batalanda Ranil. Because he was carrying on how clean his sheet is too.. I dislike saints without sin.!! DO THEY KNOW- (exiles)- charities!! “Comment is free, but facts are sacred”. “It is well to be frank; it is even better to be fair”. Our mutual amigo: Native says to Rev. Oh, you can remove the robe and give it a try. The robe didn’t prevent Talduwe Ratugama Rallage Weris Singho, aka Talduwe Somarama assassinating S. W. R. D. Bandaranaike the then Sinhala.Buddhist prime minister of this island. You did have to listen to someone to feel the truth of that statement I suppose so. What about Ossie Corea the half bred goonda of the pansala in a predominantly kochi town. I know both DBSJ and You are proud villager’s like most on CT but t those are unlike the Heath of London where the cream of arts and entertainment come from. On the other hand I am a lucky city boy, I use to visit British library col3 . And meet other kids too, scamp at times and as kids we use to sing it was Ossie from that goon town unlike DBSJ thinking of Jaffna toddy tapper filth(social in new found glory) Ossie studied and lived in 2 silences of the world. benedictine catholic and cey/thai buddhist. The silence is all permeating 57 years on going strong!! Truth of a city has to remain in the city thanks to the ego and greed of war mongering village noise boxes. Hitler and Franco the frog like most leaders from came from villages. waiting to hear that Gotabaya is sentensed to death like his friend Duminda Silva. I am so fed up of having heard that alleged high criminal Yoshita to have been allowed leave the country for a so called Surgery. The similar cases would have been in the process of investigations, germans, the english or anyone would not allow even prince charles to leave the country. Today, situation is caught up by a situation that we the civil folks died hard to chase away Rajaakshes to feel in a pickle/no hopes anymore. Boru sobana Henry Pooooey Aleaman never seen wealth, and Powere in your lifetime before escaping under the skirt of Europeans. Alla battala under the skin. [Edited out] of your kind would not see it YET, but those who really hold them to be born criminals, always against any alleged criminals to be given the kind of permission to leave the country this day. 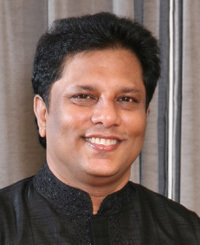 Its been almost 18 months so far none of the Medamulana Rascals are questioned or arrested by the Investigative agencies on the murder of lasantha. Only sprats like Premananda are incarcerated. His once in a lifetime editorial Voltaire for speech-None would come for me was that of a fattened mediocre journalist. It takes many to Tango? HahaHehe. 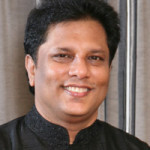 Lasantha Wickrematunge was stabbed on his neck and head in broad daylight in close proximity to the high security zone Air Force Base, Ratmalana and succumbed to the brain injuries he sustained, at the Colombo South Teaching Hospital in Kalubowila the same afternoon. It is no secret that The Sunday Leader under Wickrematunge became the biggest headache to Rajapaksa’s regime which was plagued with nepotism, corruption and frauds, and The Sunday Leader exposed them one after the other. It is Mahinda Rajapakse they should arrest. Instead, for everything they haress the others. Why no one ask these milkitary officers to sue the govt. They just carries out hierup orders. Its ` all about marketing- the best product is the product that sells – so edit out and control that dream boat – survival of truth is a process- Aye, aye. they are ruthless went it hits the nerve. reason can dream what blog keepers dreams cannot reason. I wonder what the field marshall knew,because they were complicit in the attacks on anybody that critisized the forces.All the kings men were so scared of Nandasena they peed and shat in their pants when he bereted them.